"An arms deal with the United States that will give Israel 25 of the most sophisticated fighter-bombers in the world, with a range of 3,600 miles, has slid through Congress with no objections by legislators and virtually no comment in the American media," says a report from The Independent (UK) before elaborating that the "twin-engined aircraft would enable the Israelis to carry out strikes deep into...Iran without refueling." The article continues, "The US, which is known to be worried about the development of weapons of mass destruction in the region, particularly weapons of a nuclear capability by Iran, appears to be reappointing Israel as local deputy sheriff, a role which ended with the disappearance of the communist threat in the Middle East." That report was written in 1994. Three years later, a story in the London Times, entitled "Israel Steps Up Plans for Air Attacks on Iran," revealed, "As part of a plan to neutralize Iran's nuclear and missile programs, Israel receives the first of 25 advanced F-15I fighter planes. There are two options to the reported plan: one is to target Iranian missile plants in the cities of Shiraz, Kuramabad, Farhin, and Semnan or to target foreign scientists rather than the buildings at the sites." Indeed, for nearly three decades, the looming specter of bearded baddies in Tehran taking the world hostage with nuclear bombs has been trotted out time and again by government officials in the United States, Europe, and Israel. In addition to the repetition of strikingly similar sounding lies used to sell the invasion and occupation of Iraq, over the years, Israel has repeatedly threatened Iran with an unprovoked attack, conducted war games planning for such an operation, and has often boasted of its ability to carry out such an attack. And now, in the wake of the latest, thoroughly-overhyped IAEA report on the Iranian nuclear program, rumors of an impending Israeli attack on Iran are once again circulating. Accompanying the recycled allegations and renewed threats this time around are reports of the United States acquiring new 30,000-pound bunker buster bombs from Boeing capable of penetrating "hardened and deeply buried targets," such as Iranian military and nuclear installations, a totally absurd Iranian-Mexican-Saudi assassination plot, and a new bogus claim that "Iran supplied the Libyan government of Moammar Gadhafi with hundreds of special artillery shells for chemical weapons." There's also the recent revelation that "Israel has been assembling a multibillion-dollar array of high-tech weapons that would allow it to jam, blind, and deafen Tehran's defenses in the case of a pre-emptive [sic] aerial strike" and which are designed to paralyze "Iran’s electric grid, Internet, cellphone network, and emergency frequencies for firemen and police officers." This type of electronic warfare against first responders, coupled with a bombing campaign, would purposefully increase Iranian civilian casualties and constitute war crimes against the Iranian people. Indeed, the judgment of the International Military Tribunal at Nuremberg following World War II determined that "[t]o initiate a war of aggression...is not only an international crime; it is the supreme international crime, differing only from other war crimes in that it contains within itself the accumulated evil of the whole." Meanwhile, Israel and the United States have engaged in numerous acts of industrial sabotage, espionage, and assassination in Iran; acts of lethal aggression that, were they carried out against any country other than Iran and by any other countries others than the Israel and the U.S., would be immediately and uncontroversially condemned as clear cases of international state-sponsored terrorism, if not outright warfare. Threats of an imminent attack are nothing new. Promoted every few months to coincide with efforts to impose ever more "biting" sanctions on Iran for refusing to acquiesce to demands of dubious legality which abrogate its inalienable national rights as affirmed by the Nuclear Non-Proliferation Treaty, these threats serve to scare Russia and China enough into backing watered-down measures against Iran; measures which would never pass if not for Israeli saber-rattling. As usual, charade of a public Israeli debate amongst current and former government officials about the wisdom of an assault is also on full display. Responding to the IAEA report earlier this month, former Defense Minister and Army Chief of Staff Shaul Mofaz declared, "This is a very serious report that represents an opportunity for the free world, and chiefly the United States, to take action. It is a test for the foreign policy of the Western world, led by President [Barack] Obama. It should be seen as an opportunity to change the trend, a change that is not the exclusive task of Israel." Mofaz is no stranger to empty threats as his comments to Yediot Aharonot, Israel's largest daily newspaper back in June of 2008 demonstrate. "If Iran continues its program to develop nuclear weapons, we will attack it, " he said. "The window of opportunity has closed. The sanctions are not effective. There will be no alternative but to attack Iran in order to stop the Iranian nuclear program." Despite describing media reports speculating on a potential Israeli attack as "outlandish...baseless and divorced from reality," Israeli Defense Minister Ehud Barak recently downplayed the consequences of such an attack claiming Israeli casualties from an Iranian counterattack would be negligible, echoing similar claims by Uzi Rubin, former head of Israel's anti-missile Arrow program and now a defense industry consultant, and Israel Space Agency chairman Yitzhak Ben Israel. Speaking on CNN this Sunday, Barak struck an ominous tone, telling Fareed Zakaria, "I don't think that that is a subject for public discussion, but I can tell you that the IAEA report has a sobering impact on many in the world, leaders as well as the publics, and people understand that the time has come." The time for what, however, he left to the viewer's imagination. Other officials agree that confronting Iran should be a collective effort. Speaking to a Russian news agency earlier this year, Israeli Strategic Affairs Minister Moshe Ya'alon said he "strongly hope[s] that the entire civilized world will come to realize what threat this regime is posing and take joint action to avert the nuclear threat posed by Iran, even if it would be necessary to conduct a pre-emptive strike." Ilan Mizrahi, Mossad's former Deputy Director and Israel's National Security Adviser explained that "if [military] action is taken, there will be some kind of consultation with the United States." Retired general Uzi Eilam concurred, saying a strike would "definitely not [happen] alone by a tiny country like Israel," despite reports that the Israeli government has refused to give the United States assurances that it won't take matters into its own hands. Israeli President Shimon Peres, in an interview with Piers Morgan on CNN, voiced his opinion that he "wouldn't suggest to start immediately with a military operation" preferring instead to see "tighter economic sanctions [and] closer political pressure." He continued, "We don't want to jump alone, we are part of the civilization of the family of internationally responsible countries and we expect that leaders that make a promise will fulfill it." He also called Iran "spoiled and "morally corrupt," charges that might carry more weight were Peres not the president of a country that receives endless diplomatic cover and over $3 billion each year in military aid from the United States and which has been displacing and occupying an indigenous population for decades. 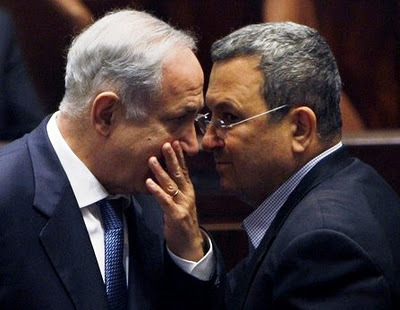 In August 2010, former IDF prison guard, perennial Iran alarmist and Israeli consigliere Jeffrey Goldberg foretold of "one day next spring" when "the Israeli national-security adviser, Uzi Arad, and the Israeli defense minister, Ehud Barak, will simultaneously telephone their counterparts at the White House and the Pentagon, to inform them that their prime minister, Benjamin Netanyahu, has just ordered roughly one hundred F-15Es, F-16Is, F-16Cs, and other aircraft of the Israeli air force to fly east toward Iran...They will tell their American colleagues that Israel was left with no choice. They will not be asking for permission, because it will be too late to ask for permission." And now this fall, we have another perennial alarmist Mark Fitzpatrick of the International Institute of Strategic Studies telling us, "The most likely possibility is that Netanyahu calls up Obama and says: 'I'm not asking for a green light, I'm just telling you that we've just launched the planes, don't shoot them down'...And in a U.S. presidential election year, I think it's unlikely that Obama would shoot them down," while Tablet magazine's Anshel Pfeffer warns that "in a close presidential race, with a GOP contender accusing him of going soft on Iran, Obama's only way to block an Israeli attack on Iran would be sending the U.S. Air Force to do the job instead." In a recent speech, Mahmoud Ahmadinejad addressed the Western allegations about Iranian nuclear ambitions and supposed apocalyptic geno-suicidal irrationality. "The Iranian nation is wise," he said. "It won't build two bombs against the 20,000 you have." Iran has also consistently offered to open up its nuclear program to intrusive inspection (above and beyond what would even be required if it ratifies the Additional Protocol) and international partnerships, offers which have all been dismissed or ignored by the United States. Former Israeli Defense Minister Binyamin Ben-Eliezer has warned that "Every citizen in the country has to be worried that these two fools, Netanyahu and Barak, are planning an attack on Iran." Recent reports affirm that a majority of Israel's security cabinet, including IDF chief Benny Gantz, Mossad head Tamir Pardo, chief of military intelligence Aviv Kochavi and Shin Bet chief Yoram Cohen, are against an attack. Former Mossad chief Meir Dagan has referred to the possibility a future Israeli attack on Iranian nuclear facilities as "the stupidest thing I have ever heard." This past July, Jeffrey Goldberg, who consistently accuses Iranian leaders of being "eliminationist anti-Semites", told Salon's Justin Elliott, "Meir Dagan is doing what he's doing now because he's scared of an Israeli attack," he said. 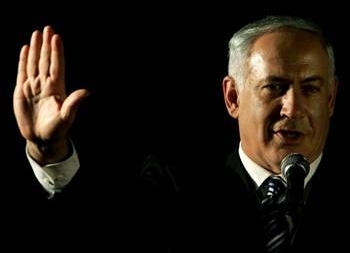 "If you don't think Bibi Netanyahu is crazy enough to launch an attack on Iran, you don't understand this prime minister." With talk like that, who should the world really be afraid of?